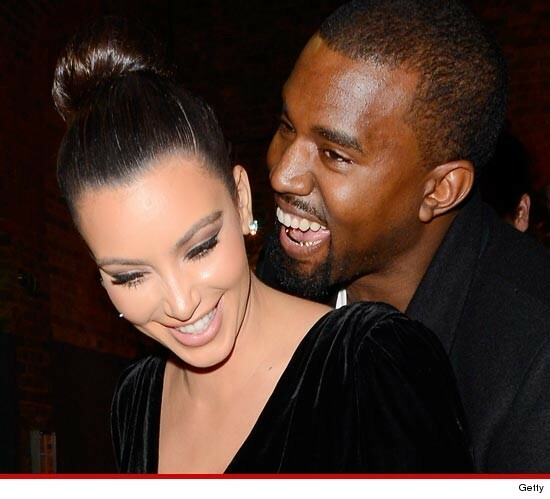 Kim Kardashian's got a little Kanye in her -- as in she's pregnant with Kanye West's baby ... according to the rapper himself. Yeezy dropped the baby bombshell on stage during his show Sunday night in Atlantic City ... confirming the rumor that's been kicked around for weeks now. Kim is reportedly 12 weeks pregnant, and apparently several members of the K clan have been sitting on the secret. Shortly after Kanye's announcement ... Khloe Kardashian tweeted, "Keeping secrets is hard with so many family members! Especially when you are so freaking excited!!!" Kourtney also tweeted, "Been wanting to shout from the rooftops with joy and now I can." It's unclear if Kim was in the audience when Kanye spilled the beans -- but it seems likely since she was at his Saturday night show, also in AC, when she posted a photo of him on stage with the caption ... "Heaven."